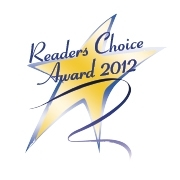 Shine-Way Services has been a family owned and operating full service janitorial company since 1972. Originally founded by Bruce and Janet Johnson. Shine-Way has been serving Mankato and the surrounding areas with quality residential and business cleaning services at a fair price. Since 1997 Matt and Angie Johnson have been providing the same quality service that this family-owned company has built on for years. Shine-Way provides services for a wide array of home and commercial cleaning, from carpet cleaning to business janitorial and including water and fire restoration. We are willing to bid any job small or large. 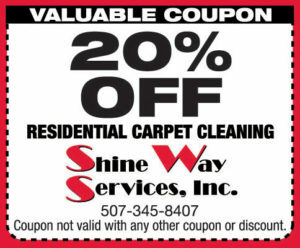 Please mention this coupon to receive the 20% discount!